Shuman HealthCare & Specialty Pharmacy is a second generation, family-owned business that has been serving southeast and coastal Georgia’s home medical equipment needs since 1971. We offer a full line of home medical equipment including wheelchairs, rehab mobility equipment, customized power wheelchairs and mobility scooters, vehicle lifts, wheelchair ramps, hospital beds, and equipment for daily living. 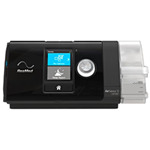 For our respiratory customers, we offer portable oxygen concentrators, CPAP machines and CPAP masks. Our Specialty Pharmacy offers nutrition therapy, including enteral nutrition and respiratory medications for inhalation. See the Shuman HealthCare & Specialty Pharmacy online catalog for a more complete list of our products. Please contact us or visit a Shuman showroom in your area and we’ll answer your questions.